Stepping inside Dallas Austin’s swooping, modern 5,550-square-foot house, guests were greeted not by the famed music producer—who’s worked with everyone from TLC to Boyz II Men to Madonna to Gwen Stefani—but instead by lumbering, gruesome zombies. 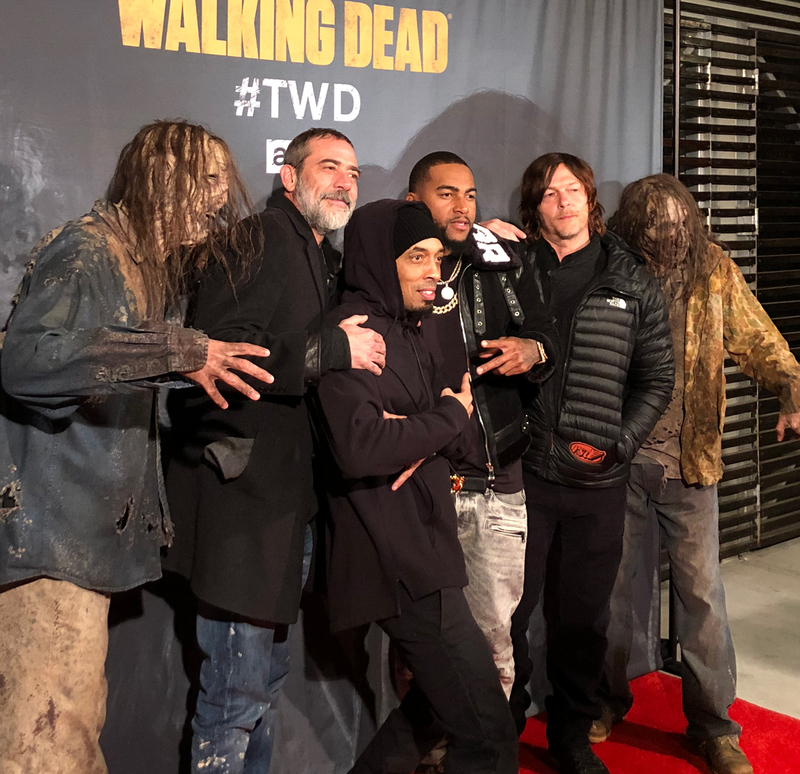 Or, walkers, rather, as this Super Bowl party also doubled as a premiere party for the second half of The Walking Dead‘s 9th season, which returns to AMC on February 10. 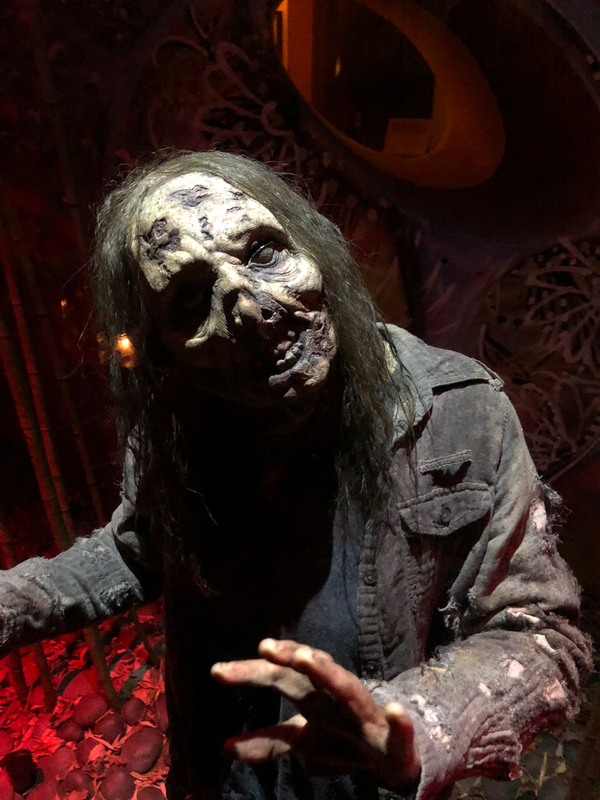 Much like on the show, the walkers lurked around every corner—they greeted guests on the red carpet, stared menacingly from inside a glass box in the home’s atrium, lurched up and down spiral staircases, and always seemed to suddenly appear behind you. 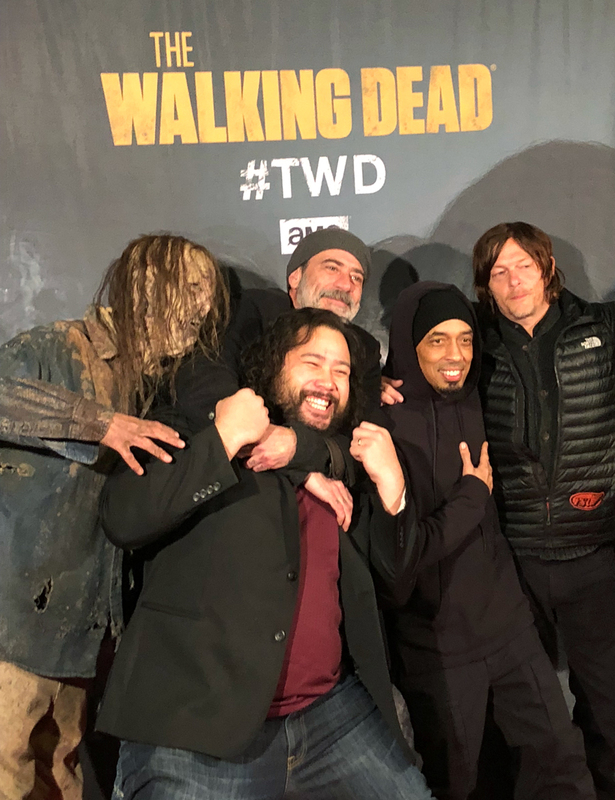 These dead were the real deal—special effects master Greg Nicotero and members of the TWD costume and makeup team arrived before the party to get the actors show-ready. They also added one more eerie piece of decor—floating severed heads in Austin’s pool, which was visible behind the bar. Guests mingled and sipped on cocktails themed to the evening—”zombie zingers” and “Lucille skull crushers”—and could even pose with TWD props in a photo-opp area. On the guest list: TWD stars Jeffrey Dean Morgan, Norman Reedus, and Cooper Andrews; former Carolina Panther DeAngelo Williams, Bucs wide receiver DeSean Jackson, and Bears running back Tarik Cohen; along with Phaedra Parks, Waka Flocka Flame, and F.L.Y., who, yes, did perform “Swag Surfin” live and even got a walker to dance with them. 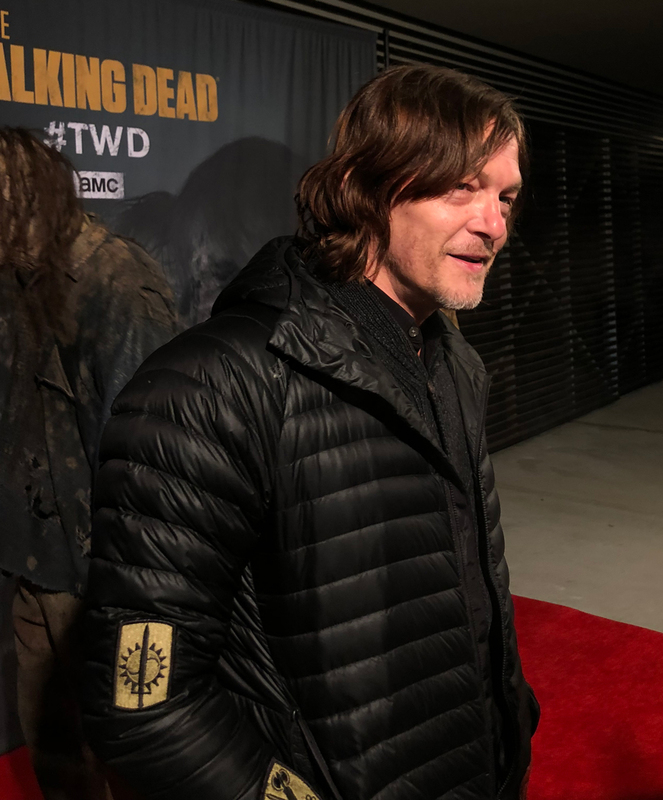 On the red carpet outside, the TWD stars teased the second half of the upcoming season and talked about their Super Bowl plans. Andrews, the Atlanta native who plays Kingdom right-hand man Jerry on the show, will be hosting a Super Bowl party with his friends, a tradition he’s had for a decade. As a Falcons fan, he’s rooting for the Rams. “As long as the Patriots don’t win in our stadium, I’ll be okay,” he said. Reedus, who plays fan-favorite Daryl, wanted the Saints to make it to the Super Bowl. He also stunned the small crowd of reporters when he told a Bossip reporter that he’d never eaten at Waffle House, despite the fact that The Walking Dead has been filming in Georgia for nearly a decade. He noted that Andrew Lincoln’s departure from the show was “hard,” saying, “That guy was my BFF for nine straight years on the show; we ate lunch everyday.” But the two remain friends. “He called me actually a couple of hours ago,” Reedus said. As the duo were long known as on-set pranksters, Reedus says that now Morgan has become his partner in crime, noting that the two were friends before they were on the show and ride their motorcycles together. Nicotero and his team even added two Whisperers in among walkers that were roaming the party that evening. He also mentioned just how blown away he was by actress Samantha Morton’s performance as Whisperer leader Alpha.